Welcome back to the Holistic Spaces podcast! I'm honored to have my meditation teacher, Joseph Mauricio, in the studio this week and next to discuss meditation, how it can change your life and how to get started. Meditation is such a valuable part of my life, and I'm excited to share Joe's insight with you! I hope this chat on meditation helps to bring clarity to any questions you may have about why this is a helpful practice and how easy it can be to get started. Join us next week, when Joe returns to help set each of us up with our own meditation practice and holistic space. As always, feel free to send any questions my way. You could be featured on the Q&A Sunday series or a future podcast! Don't forget to sign up for our monthly newsletter as well, for regular tips on green design, feng shui and holistic living. 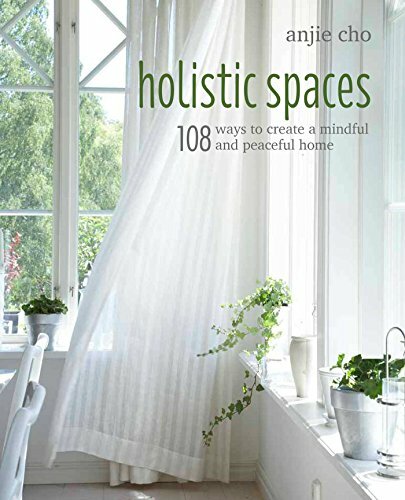 You'll receive a 10% off coupon for the Holistic Spaces store just for signing up!